Pamper your pooch with this stylish DIY Dog House! The roof offers protection from the sun while the open sides allow a great breeze, perfect for our hot, Texas summer days! 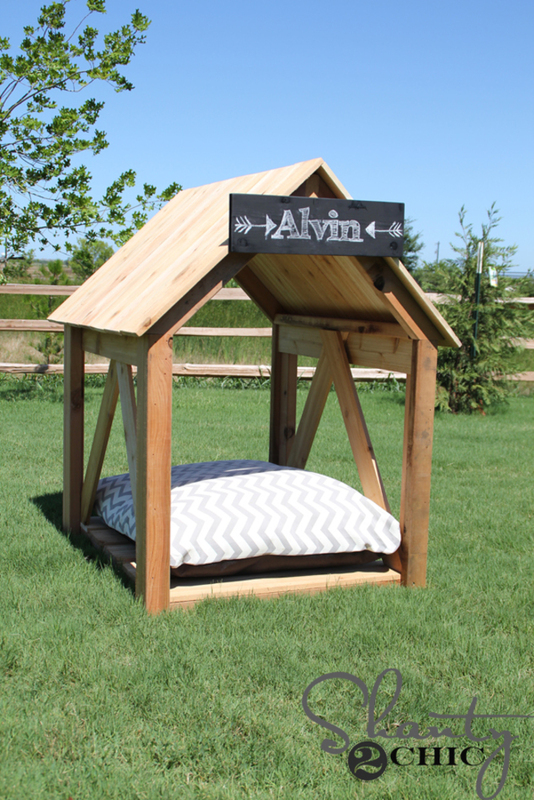 This is an easy and inexpensive project that the whole family can enjoy creating together! 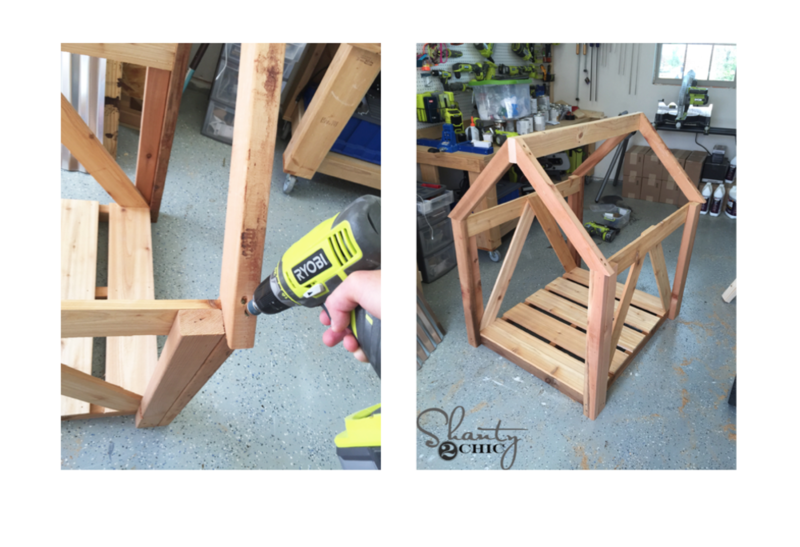 Just download the plans and follow along with this step-by-step tutorial. 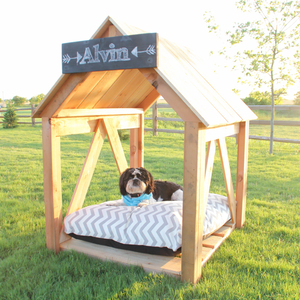 ***Easily modify these plans into a true dog house by planking the sides and back. 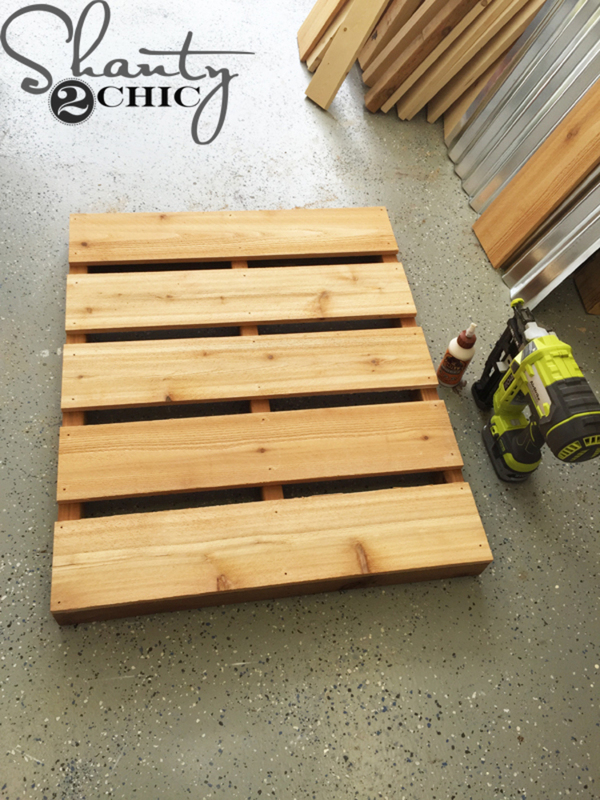 Get creative and add a fun pattern with the planks to make it your own! 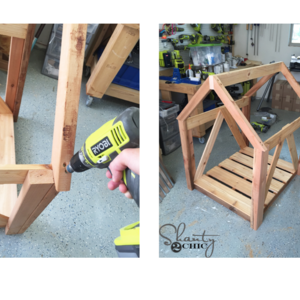 Click here to download Shanty2Chic's project plans for this How-To! Make the cuts for the bottom frame. 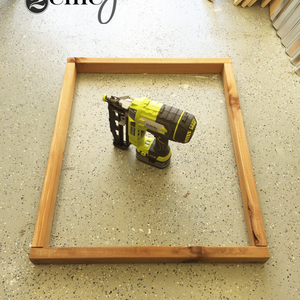 Now, assemble the frame by attaching the side (short pieces) to the long (side pieces). 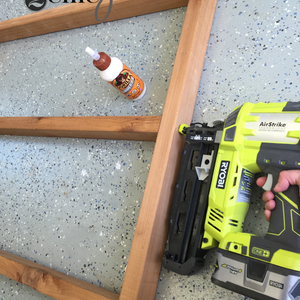 I used my 16 gauge nailer with 2 1/2” finish nails and wood glue. Put three to four nails on each joint. Next, center the middle support and attach it the same way. 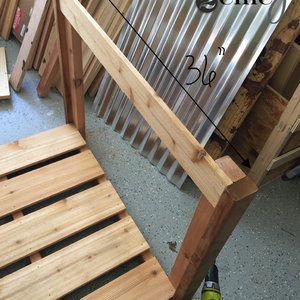 Attach the 1x6 slats to the bottom frame with 2 1/2” finish nails and glue. Start with the front and back boards first (these will be flush with the frame) then evenly space the rest of the boards. 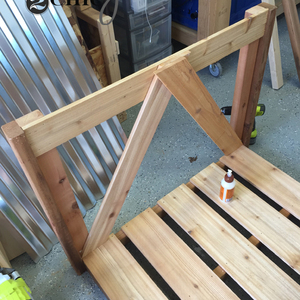 Cut and assemble the legs with 2 1/2” finish nails and glue. The legs will look like “L’s”. 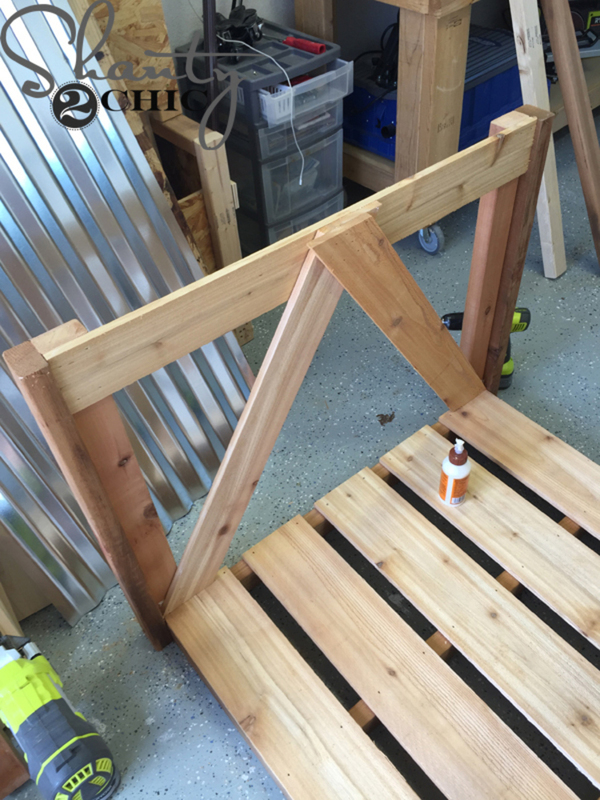 Then, attach the legs to the frame with 2 1/2” wood screws. 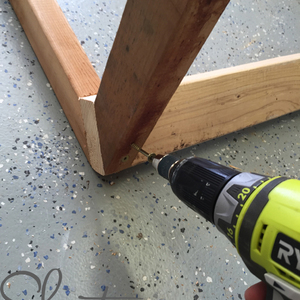 I used Spax screws to avoid pre-drilling. 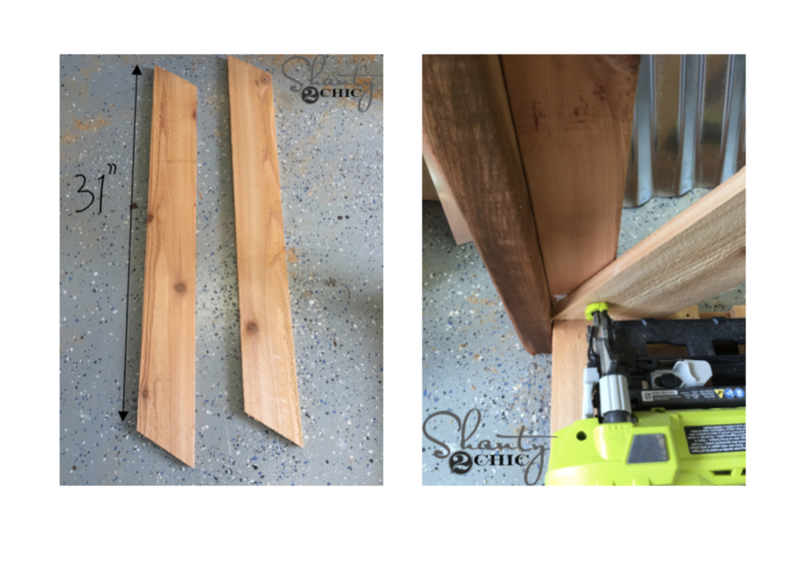 (The full face of the 2x3 will be on the front and back (short) sides of the frame so that the seam of the “L” will be on the sides (long) of the house. 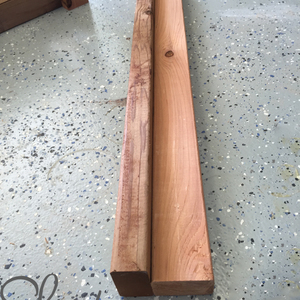 Next, attach the 1x4 cedar board on each side of the house. 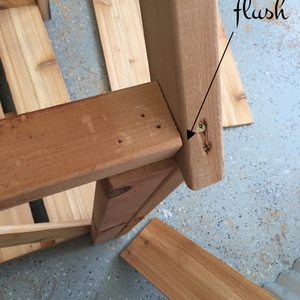 I attached them to the top of the legs, making the top of the 1x4 flush with the top of the legs. 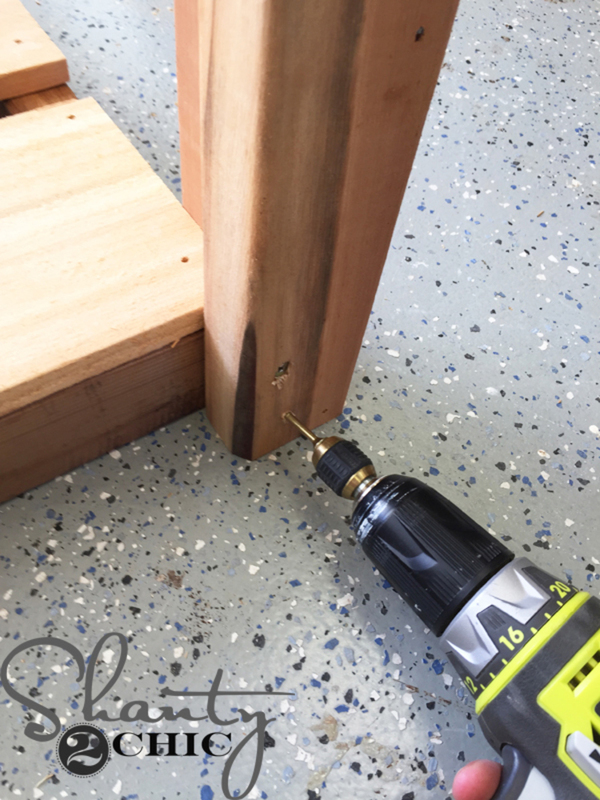 Use 1 1/4” finish nails and glue. Cut the side angled pieces. These will have 45 degree cuts on both ends and will not be parallel. 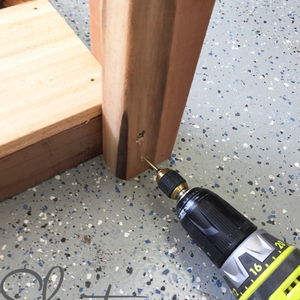 Attach the first board to the inside corner (side of dog house) of the leg with 1 1/4” nails and wood glue. Then attach the second board to the opposite corner. 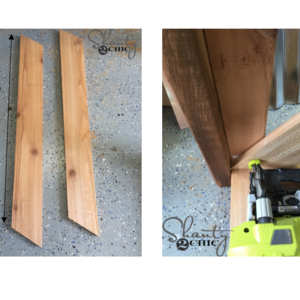 Finally, pull the top of the angled boards up flush with the top of the 1x4 running across the legs. The boards will overlap. 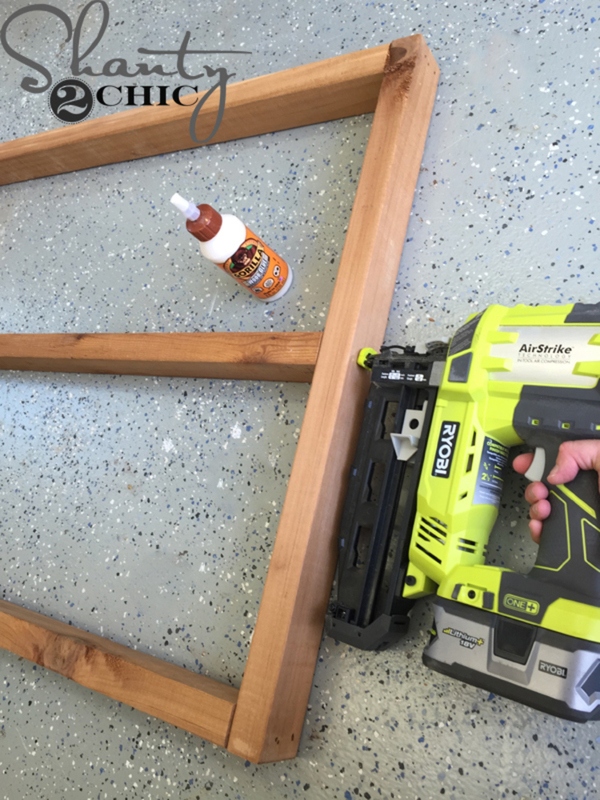 Just glue in between them all and put 1 1/4” nails from the inside of the house all the way through the 1x4 that stretches across the top. (The nails will go through all three boards). Assemble the roof frame according to the plans. The side pieces will be 45 degree cuts on both ends and not parallel. 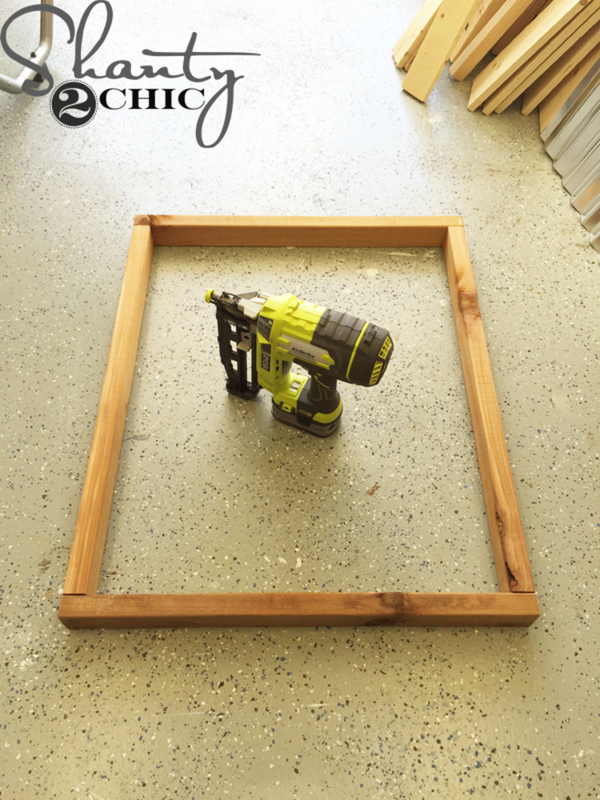 Attach the mitered pieces to the middle 2x4 with wood screws and wood glue. I used Spax screws. 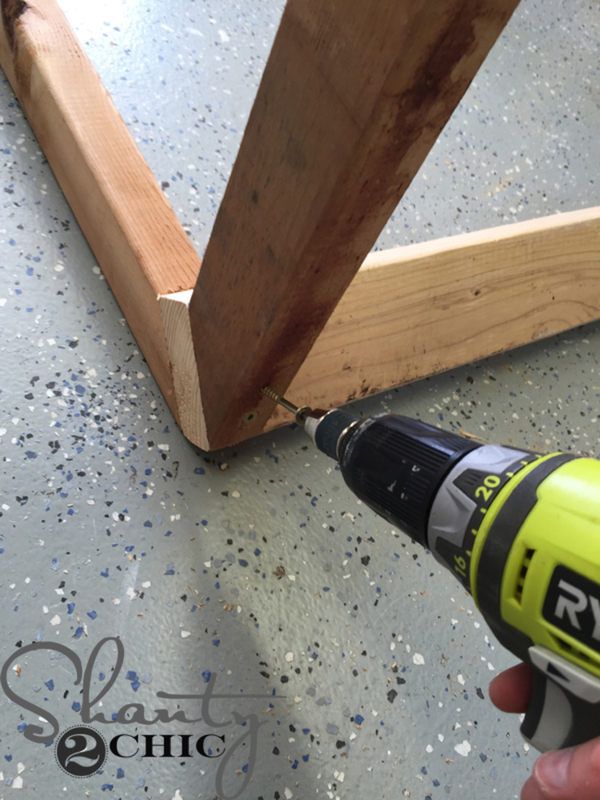 Attach the roof to the house with 2 1/2” wood screws and glue. 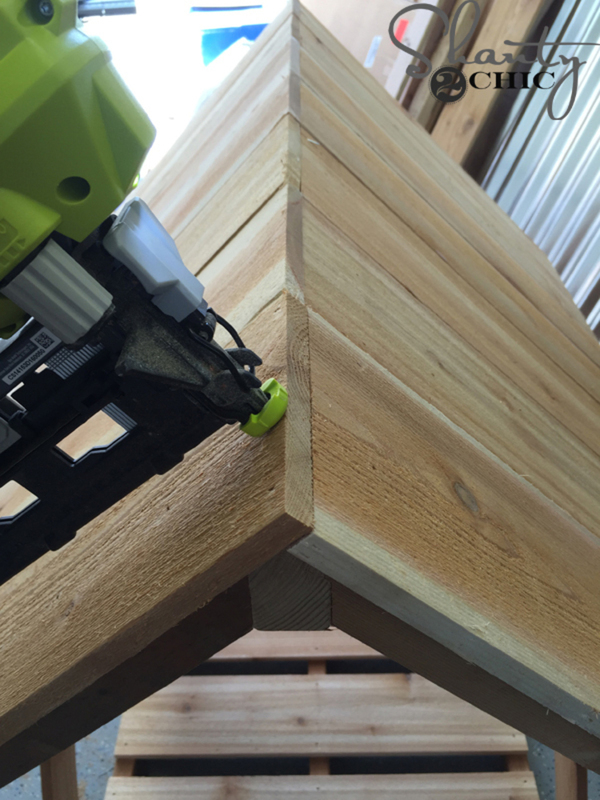 I drilled from the top of the roof into the 2x3 legs on the front and back of the house. 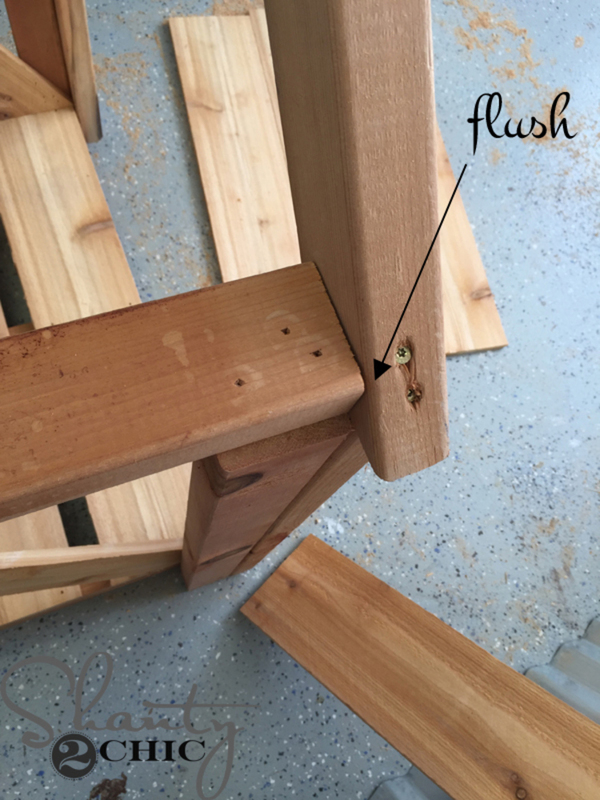 The long point on the 2x3 will over hang the leg a bit, allowing the inside of the mitered 2x3 to be flush with the leg. 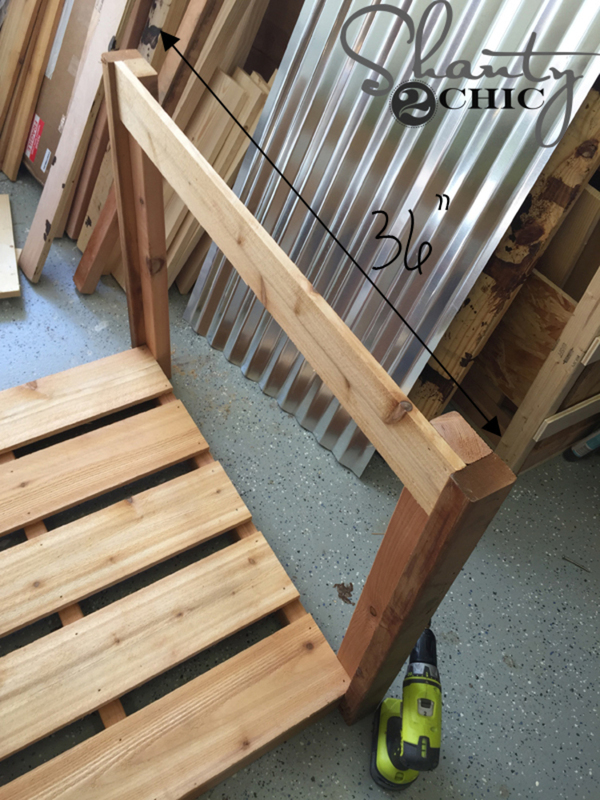 I ran a 2x3 along the top of the legs (on the sides, above the new angle pieces) and attached them with 2 1/2” nails and glue. The edge of the 2x3 will be flush with the roof line. This will give you something to nail the roof slats to. 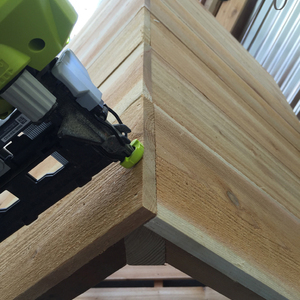 Finally, attach one side of the roof slats. 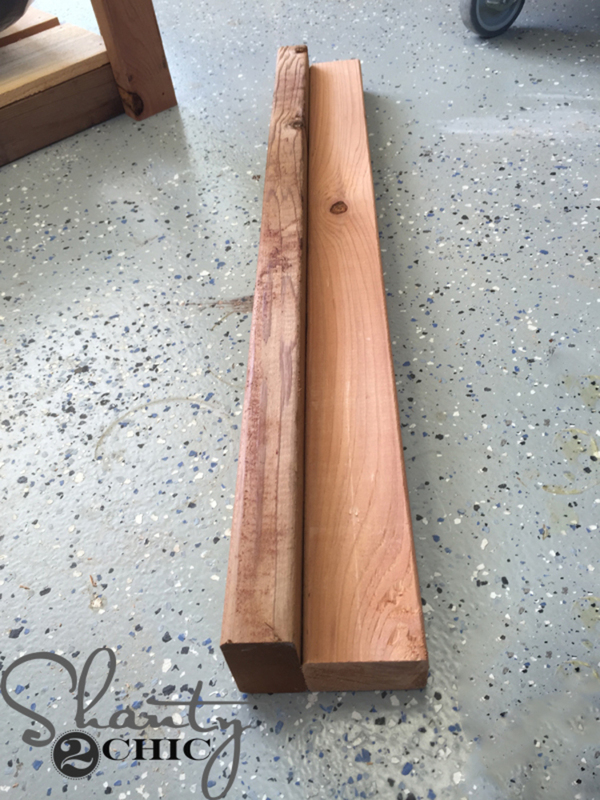 Let them overhang on the top so that they can meet the planks on the other side of the roof. 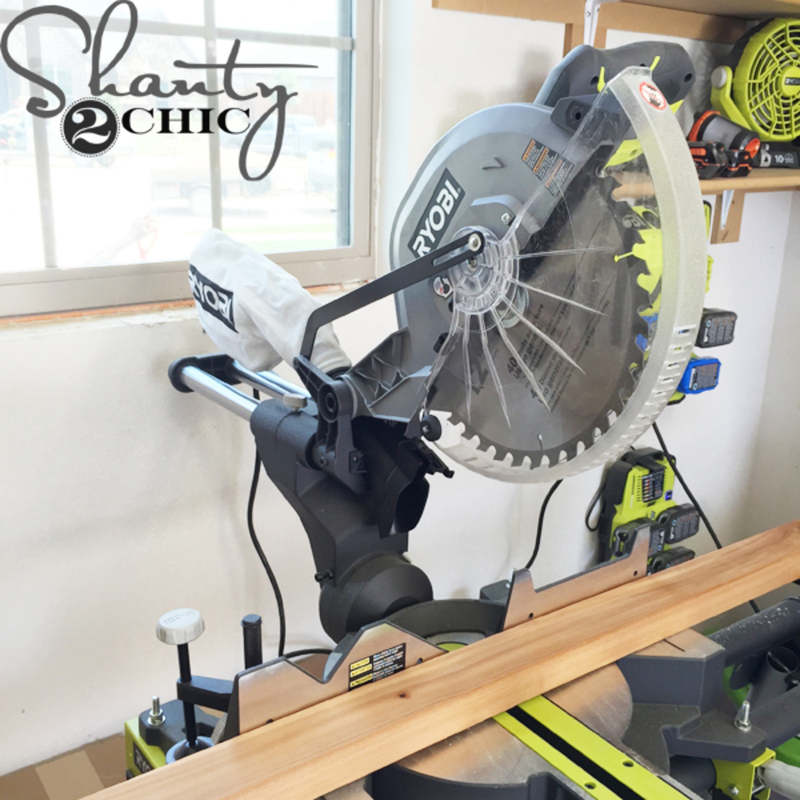 Start with the center board and work your way out. 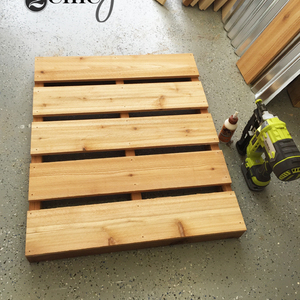 Follow up with the other side and use 1 1/4” finish nails and glue everywhere that the planks touch wood. 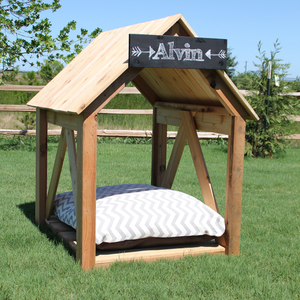 Add a chalk board sign and a cute and comfy pillow and your pooch will be the most pampered pet in your neighborhood! Happy Building!